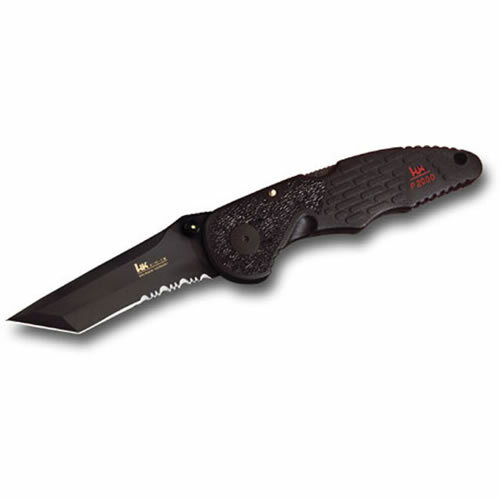 Functionality : Made of tough, 8.5-oz. 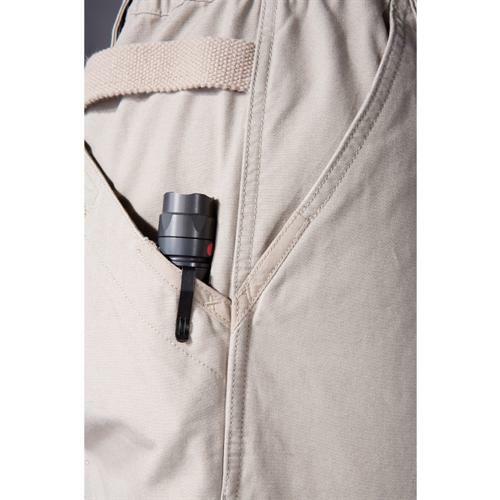 100% cotton canvas that becomes increasingly more comfortable over time, the 5.11 Tactical® Pants stands up to the rigors of daily work, play and travel. 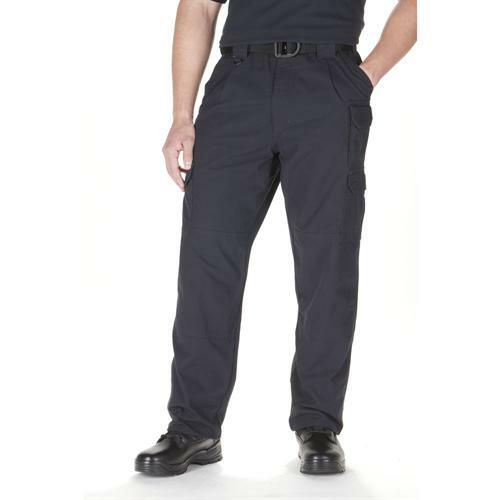 Known for superior comfort, functionality and fit, the tactical pants feature a self-adjusting comfort waistband that helps you bend and stretch with ease. For best results, pair the 5.11 Tactical® Pants with the 5.11 Tactical® Shirts or 5.11 Tactical® Polo. 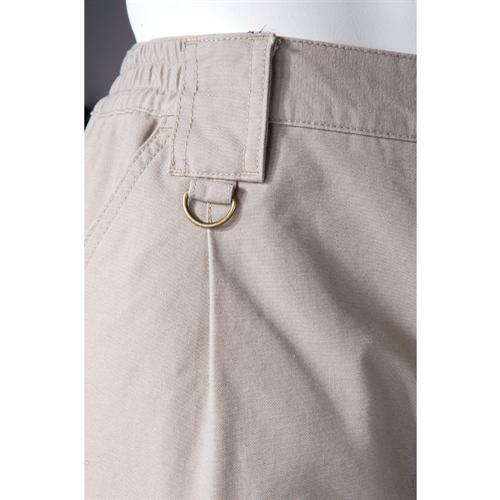 Storage : Front pockets are strong and roomy; inverted pleats on the cargo pockets remain flat until needed for a neat, professional appearance. 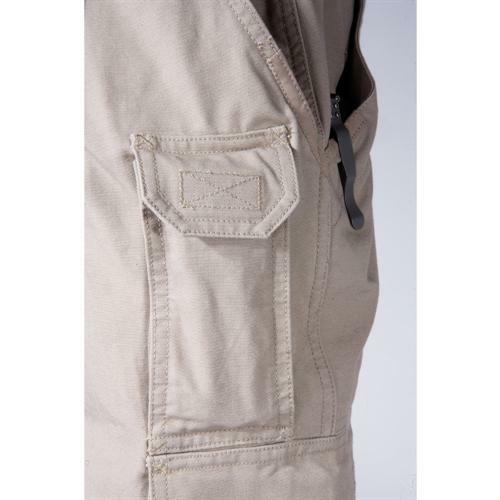 A narrow thigh pocket accommodates a magazine, cell phone or utility knife. 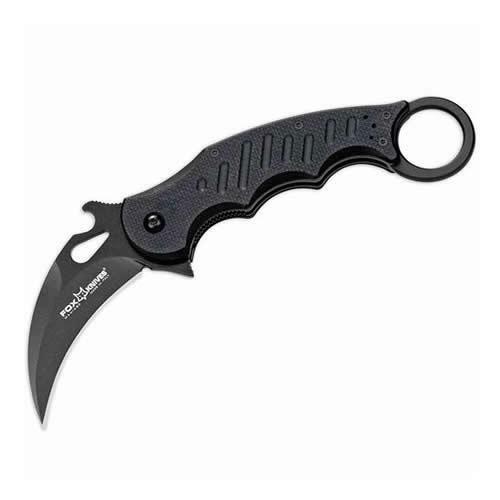 The extra deep rear pockets hold extended mags, a baton or a 15” flashlight. 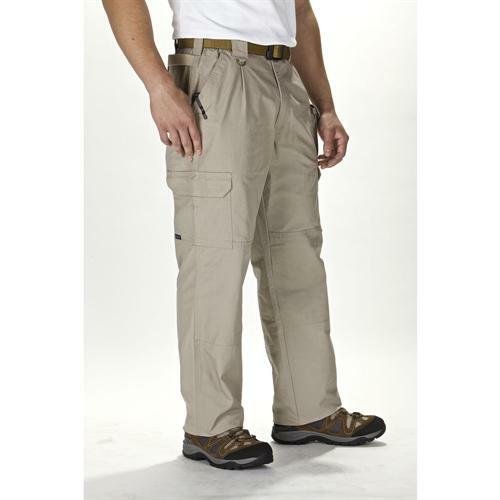 Durability : The 5.11 Tactical® Pants utilizes a proprietary weave that binds in on itself to prevent raveling. 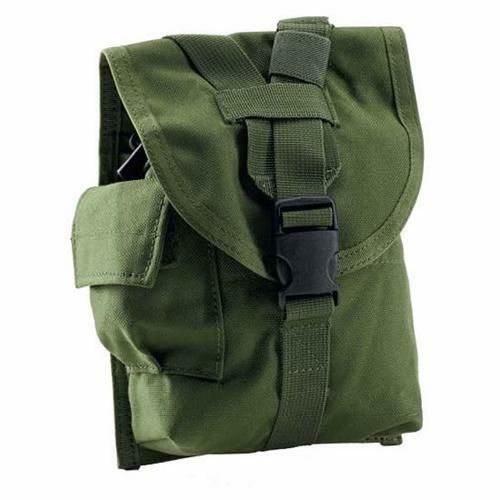 Double and triple-needle construction is utilized throughout, plus 48 bartacks in high-stress areas add to the tremendous strength of the tactical pants. The double reinforced seat and knees provide enhanced abrasion protection, and interior knee slots are ready to accept 6mm neoprene kneepads. At the ankle hemline, built-in blousing strap openings can accommodate 500 cord. Hardware : On the 5.11 Tactical® Pants, we use only genuine, locking-flange YKK® zippers and quality PRYM® snaps, both of which are top-of-the-line in the industry. 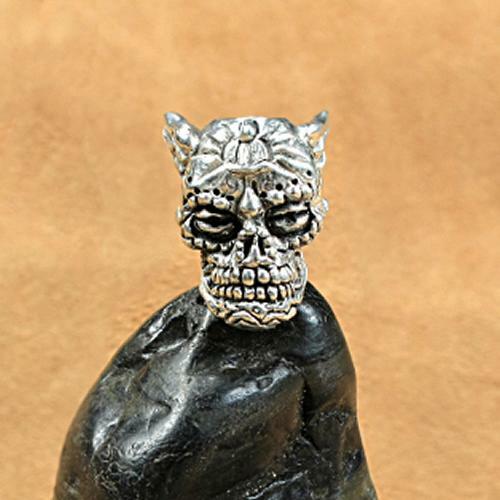 Additional quality hardware is found in the front, where a convenient D-ring holds your keys, or ID. Fit : The legendary fit of the 5.11 Tactical® Pant is a closely-guarded secret based on a tried-and-true formula created 30 years ago from its mountaineering roots. Designed for active movement in changing conditions, the pants perform and look great on individuals of all shapes and sizes. This same superior fit is also found in the 5.11 Tactical® Short, 5.11 Covert Khaki and the 5.11 Tactical® Shirt. Value : The authentic 5.11 Tactical® Pants is the only pant on the market with a 30-year history of delivering quality, functionality, comfort and value. It has consistently stood the test of time worldwide. 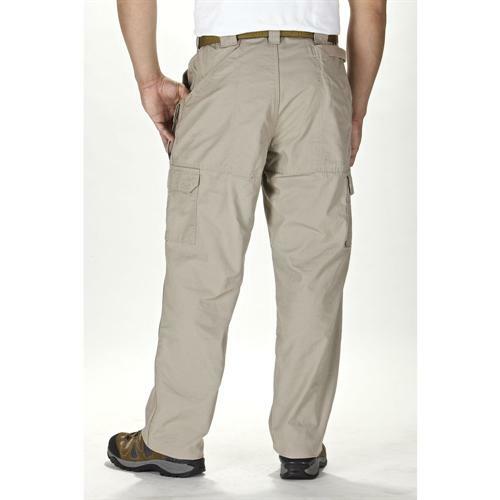 Accept no imitations or look-alikes; the authentic 5.11 Tactical® Pants are the genuine article.